Congratulations! 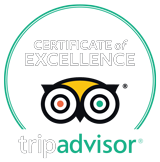 You’ve received a gift voucher redeemable for our “Teide By Night” tour. During the experience we will toast with a glass of Cava while watching the sunset from one of the most magical places in the world for stargazing. Redeem your gift voucher from here. 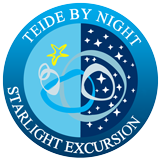 Our Starlight guides are waiting to tell you the secrets of the night sky from the Teide National Park. Exchange your gift voucher here!